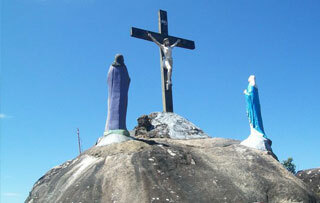 Kurisumala, which literally translates as ‘Cross Mountain’, is a Christian pilgrim centre that is a two-kilometer drive from Kumily . Pilgrims climb the mountain on Good Friday in remembrance of the crucifixion of Jesus Christ, the ultimate sacrifice for mankind. The place is also known for its enchanting natural beauty. 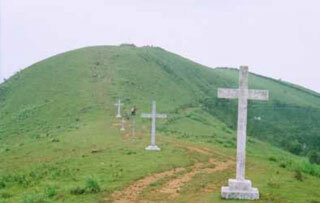 Kalvary Mount or Kalliyanathandu is a famous Christian pilgrimage site perched atop a hill offers that an aerial view of the Idukki Reservoir and its surrounding peaks and forests. 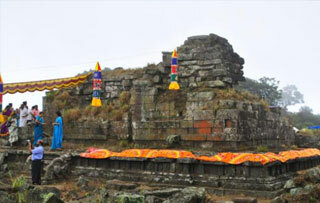 It is also an ideal place for mountain climbers and trekkers.Guided trekking can be availed from here to nearby places.